Cambus Medical, a Freudenberg Medical joint venture company, announced the official launch at MD&M West 2016 in Anaheim, California of an innovative new over-molded Hub & Strain relief solution for Hypotube-based catheter shafts commonly used in Percutaneous Transluminal Coronary Angioplasty (PTCA) and other minimally invasive medical devices used in diagnostic and therapeutic interventions. 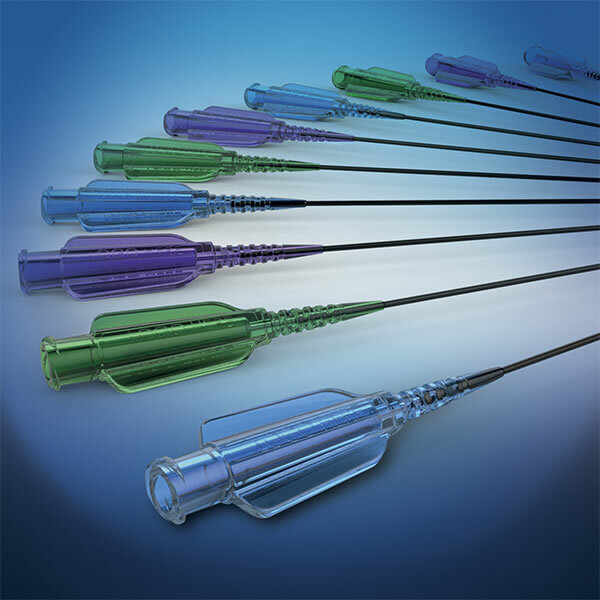 Cambus Medical’s latest product offering was created in response to market demand for a low risk, rapid response yet cost-effective solution to accelerating new MIS catheter development and market launches. Responding to the needs of its customers, this latest innovation was developed by Cambus Medical’s advanced Innovation & Product Development group, Navigate™, a team of professional medical device engineers across several disciplines including Project Management, Materials Science, Laser Applications, Manufacturing Engineering, Quality and Regulatory Assurance. “With the official launch of our new over-molded Hub & Strain relief solutions, Cambus Medical can now offer an ergonomically-designed, ISO compliant high-pressure Hub & Strain relief in a variety of colors and materials which can also incorporate our customer’s logo. If a customized shape design is required, our modular mold designs enable a rapid turnaround of your finished parts at a fraction of the cost and time required to build dedicated mold tooling,” said John Farragher, VP of Global Business Development for Cambus Medical. Headquartered in Galway, Ireland, Cambus Medical is a joint venture company of Freudenberg Medical (a Freudenberg Group subsidiary) with design and manufacturing locations worldwide including California, Indiana, Massachusetts, Minnesota, Costa Rica, Germany, Ireland and China. Freudenberg is a 166-year-old privately held, values-based global technology group employing 40,000 people and revenues of $8B worldwide.